This entry was posted in cool factor, current events/news, development, farms, home front, life and tagged chester county, coyotes, pa by carla. Bookmark the permalink. Two coyotes were spotted in Gladwyn this week. 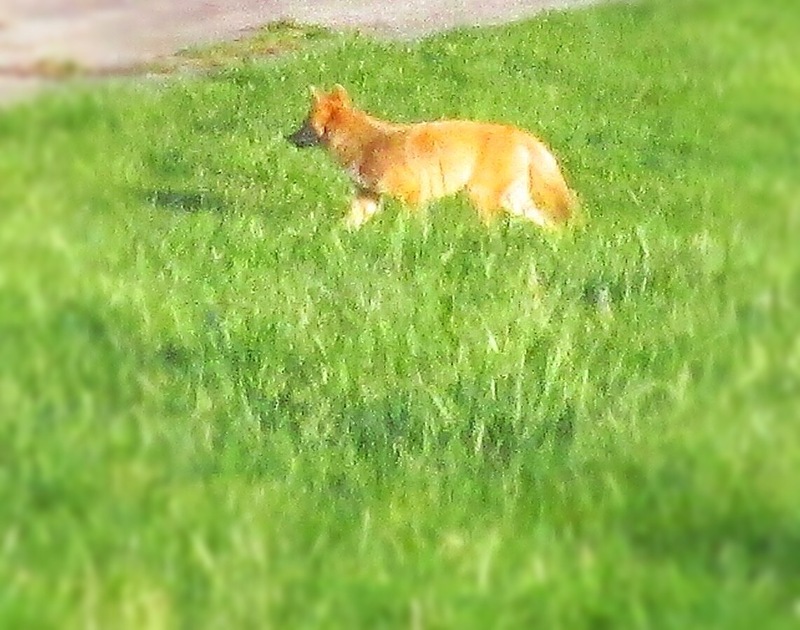 That is a red fox. the pointed noise tells you this. I saw 2 grey coyotes tonight in West Grove Pa in a freshly cut field on 796. there were 3 I was told later by a friend that stopped and investigated them. Coyotes have the the back end raised up and it makes them very distinguishable from a fox, They also do not have a pointed nose.